Rice gave her assessment in an essay published in ‘Foreign Affairs’ magazine. In it she discussed the change that U.S. foreign policy has undergone in the eight years of Bush’s presidency. She praised American values and said she regretted they were not shared by two leading powers, Russia and China. “By necessity, our relationships with Russia and China have been rooted more in common interests than common values,” Rice said. 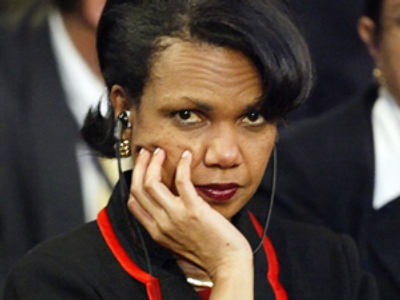 Russia’s internal course since 2000 has been a disappointment, in Rice’s words. Nevertheless, Rice pointed out that modern Russia was not the old Soviet Union, saying it was “neither a permanent enemy nor a strategic threat,” and praised the agreement signed by George Bush and Vladimir Putin in Sochi in March. She also said Russians now enjoy greater opportunity and personal freedom than at almost any other time in the country's history.